Sub Chaser Goiana ex PC 554 Photo. navsource.org by Robert Hurst. 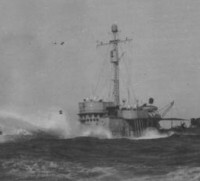 Sub Chaser Goiana - G 6, ex-USS PC 554, was built at Sullivan Dry Dock and Repair Co., Brooklyn, New York. 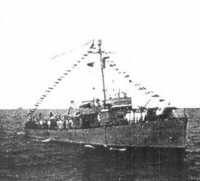 She was launched 1st May 1942 and incorporated to the Brazilian Navy on 15/Sep/1942. 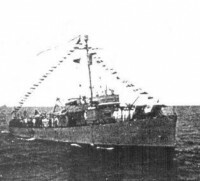 She was transferred and incorporated to the Brazilian Navy 29/Oct/1943 in a ceremony in Miami, Florida. 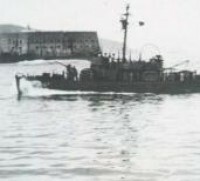 Her first commander was Lieutenant Captain José Geossens Marques.